Nothing beats a toque (or tuque or touque as it can also be spelled) when it comes to winter weather, but unless you're a Canadian, you likely don't know what a toque is. A toque is a winter hat. It is the best way to keep the head warm during our cold winters. So I thought I'd use this classically Canadian hat as inspiration for this easy Christmas ornament craft for kids. 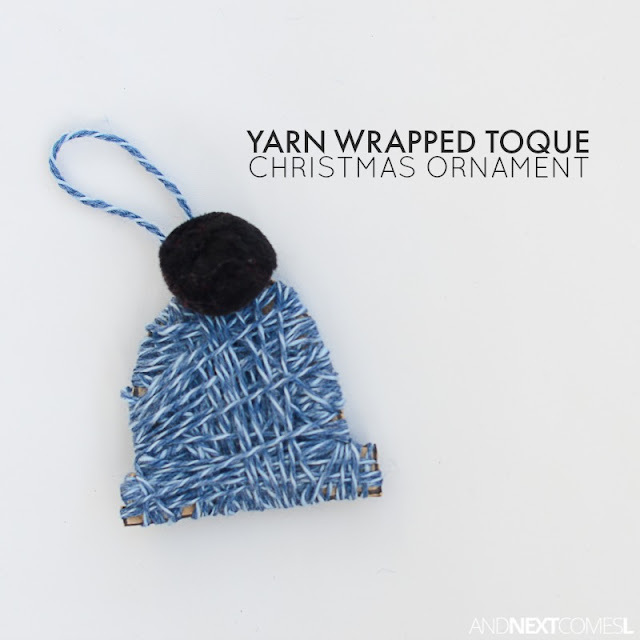 This yarn wrapped toque ornament is super cute, but it's also a fantastic way to work on fine motor skills. Christmas Ornament Craft for Kids: Make a Yarn Wrapped Toque! 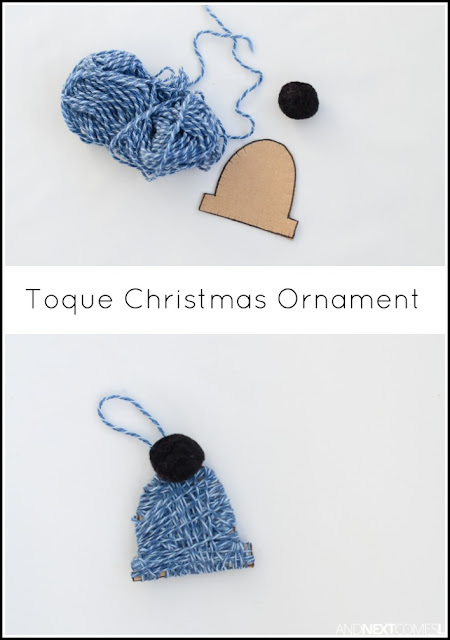 The materials are simple for this homemade Christmas ornament. You likely even have the materials on hand too, which is a bonus. You can customize it to be any colors you want. My five year old son K really wanted to make a blue toque with a black pom pom on top, so that is what he created.